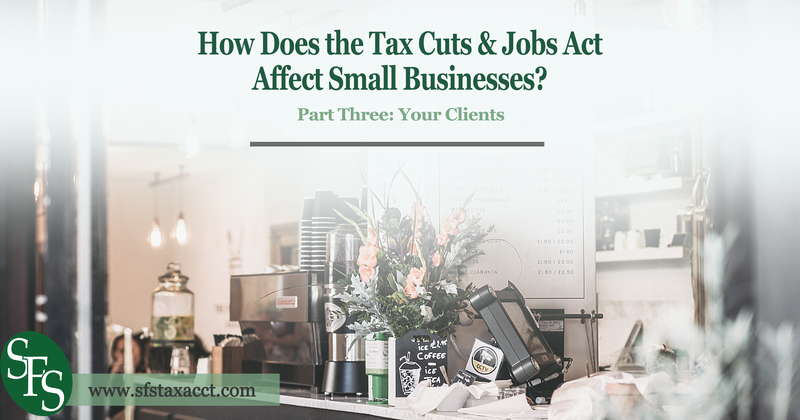 In part one of this series, we covered how the Tax Cuts & Jobs Act affects you as a small business owner. There are also provisions that affect your clients and may have an effect on the market in general. The mortgage debt deduction limit is now $750,000 for new loans, or those that originate after December 14, 2017. Any existing mortgage debts of up to $1 million can be deducted. Existing mortgage debts can also be refinanced for an amount of up to $1 million and still have interest deduction; however, the new loan cannot be for more than the current mortgage. You can also still deduct mortgage on second homes (also within the limits of $750,000 for new mortgages and $1 million for existing). None of these limits will increase with inflation. 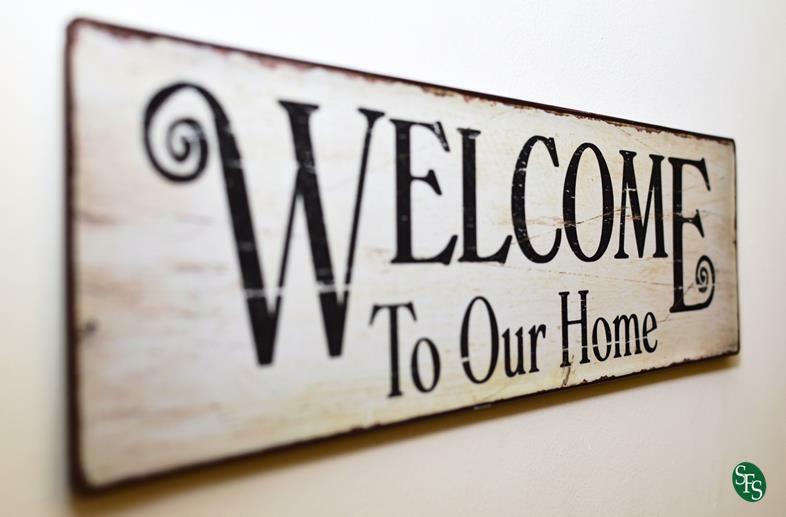 Also, there is no longer a deduction for interest on home equity loans… unless it is specifically used to make improvements to the home. Good news if you are a contractor or home improvement business. The deduction for state and local property and income taxes (or sales taxes, whichever the taxpayer chooses) has been capped at $10,000. This is the same for single and joint filers. Again, no provision was made for inflation, so this amount will stand in coming years. What this means is that folks who were able to fully deduct state and local property and income taxes may not be able to do so now. This can raise their federal tax bill, and may start to affect home buying behavior. Buyers could either avoid homes that come with large property tax bills, or even move to a state or local municipality with lower taxes. This poses a threat to state and local municipality coffers, but not necessarily to your business unless you are in real estate. That’s because some folks may stay away from areas or houses that come with a large tax bill that they can’t fully deduct on their taxes. 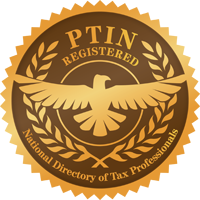 In part one of this series, we covered the changing tax rates and brackets as well as the changes to the standard deduction, the child tax credit and the elimination of the personal exemption. Along with the SALT tax cap, the results on your client’s wallets will vary. Right now there isn’t a clear sense of whether this new law greatly benefits the average American. However, how those folks feel plays a critical part in our economy. We’ll know more after the first tax return deadline comes and goes, circa April 15, 2019. It’s too soon to tell if the far-reaching impacts of Tax Cuts & Jobs Act. In fact, clarifications on the law are still rolling out. Every law enacted has unintended consequences, sometimes causing revisions and/or new laws to deal with the fallout, which may happen in the future. In the meantime, it’s wise to get an Enrolled Agent (EA) in your corner. An EA must stay on top of every new tax law and court case so that he or she can advise you on the best course of action to take so that you pay the least amount of tax possible (or get the highest refund). Jeffrey Schneider, EA, CTRS, NTPI Fellow has the knowledge and expertise to help you reach a favorable outcome with the IRS. He is the head honcho at SFS Tax & Accounting Services as well as an Enrolled Agent and a Certified Tax Resolution Specialist.